In addition to our campaigning at HEqual, another of our aims is to conduct ground-breaking research into gender equality issues. 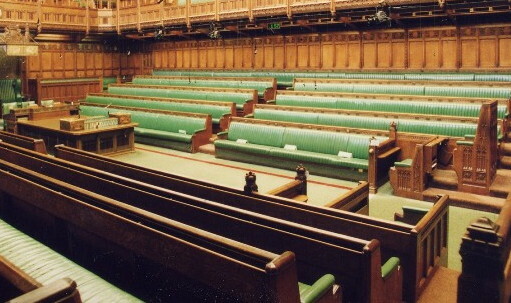 With the General Election rapidly approaching, we decided to examine sexism in politics and find out exactly which types of Members of Parliament actually support equality for fathers. The motion, tabled in 2013, has some 104 signatories from a variety of parties, which in itself is quite an encouraging sign. More disturbing is the gender breakdown of these signatories, with female MPs being notably absent relative to their numbers in Parliament. Of the 104 signatories, 89 were male and only 15 female. Given that women now comprise almost 23% of Members of Parliament, then we’d have expect to have seen the proportion of female signatories to the proposed legislation to be 60% higher were female MPs equally in favour of equality for men. Worse still, in order to balance out the “excess” number of male signatories we’d actually need 12 additional women to have signed in order to be proportionally to their presence in Parliament – that’s almost double the number that actually signed! Thus almost half the women who should have stood up and insisted on equality for fathers in their constituencies were missing! Things get worse still when considering the bigger picture. For example, it’s extremely rare for senior politicians such as cabinet members of major party leaders to involve themselves with most EDMs, and thus the flip-side of feminists complaining about a lack of females in the cabinet is that more of them would reasonably be expected to have taken the time to support equality in the home. This therefore moves us even closer to half of the expected women MPs to be missing from the list. For the next stage of our research we decide to examine support for shared parenting by gender within different parties. Unfortunately, the EDM had a surprising lack of support from The Conservatives and there appears to have been something of a boycott of the document by the party, presumably due to its high profile falling out with supporters of Shared Parenting after 2010 and the embarrassment and damage caused to the party by breaking its promises on this issue. Your average Conservative MP has tended to be at least as supportive of fathers as Labour or the Lib Dems, so one has to assume that Tory MPs were actively discouraged from signing the document. This unfortunate complication makes it a little unfair and pointless to do to much analysis on Conservative supporters of the document and so instead we’ll focus on Labour and the Lib Dems. The proportion of Labour MPs supporting the document who were female was 18%. At first this may seem like an improvement on the overall average of 14.4% female support, though one has to bear in mind that Labour actually has the highest proportion of female MPs of any major party at 33%, this figures therefore show female Labour MPs were actually significantly more sexist on average then from other parties and more likely to oppose equality for fathers. This is hardly surprising given that it’s the Party of Harriet Harman, Vera Baird, Yvette Cooper and countless other misandrist feminists and it is at least reassuring that there are a small number of female Labour MPs willing to represent more than half of their constituents. Encouragingly, the Liberal Democrats had a hugely impressive 23 supporters of the document, meaning that more than 40% of elected Lib Dem MPs took the time to support fathers rights. Now, given that only 12.3% of Lib Dems are female we wouldn’t have expected massive female Lib Dem support for the motion, but the reality of what we uncovered is still absolutely staggering. Of the 23 Lib Dems, each and every single one was male and not a single woman representing the party supported shared parenting. The enormous hostility to men by Lynne Featherstone is very well known and it was quite a relief when she was sacked form her equalities role, the likes of Jo Swinson have shown their true colours more recently and gone out of their way to oppose equality for males. However, for the party’s women to be exposed as even more sexist than Labour (or anyone for that matter) is quite a revelation and surely a huge disappointment to anyone considering supporting the party. We’re regularly told that we need more women in Parliament, with the main reasons given for this apparent need for women being that it will reduce sexism. We’re told that women MPs will favour equality and insist on breaking down gender roles and support sharing parental responsibilities, yet this document suggests the exact opposite to be the case, and again points to the well documented phenomenon of women favouring other women above men. Were the feminists correct we’d have expected to see huge female support for this EDM, with women significantly over represented in the 104 signatories, yet in reality they were notable by their absence with almost half the expected female supporters absent and thus allowing the family courts to abuse fathers, denying men and the rights at home that women have long enjoyed in the workplace. It was actually men who were the ones supporting gender equality, particularly Lib Dem men, supporting not just fathers, but also grandparents and, most importantly of all, the children who suffer so terribly by being abusively denied a relationship with their closest family members. Note, be sure to bookmark our blog, more research to follow in future and some big exclusives on the horizon too! I don’t see how retiring or standing down has anything to do with this whatsoever. you’re implying that female Lib Dems will only help men if they’re seeking re-election. On the other hand, if they’re unfit for work they need to step down immediately. Furthermore, if there are only 4 female Lib Dems then zero out of 4 is still 0% and it’s an absolutely disgrace that not a single female Lib dem supported this EDM. I’ve also been in touch with Burt on Twitter, during the exchanges she has behaved childishly and refused to even answer whether or not she actually supports shared parenting. She’s an absolute disgrace to the party. Is anyone surprised that women would look out for other women and that women are in nature biased due to their own feelings inject into their decision making? Action speaks louder than words. Results show the truth, and not the fabricated statistics often shown by feminists mind you!